Why don’t you make the best of your spare time? EXPERIENCED ENGLISH TEACHER’S ARE WELCOME SO COME ON AND JOIN US !! Ideally, we are looking for someone who has experience in teaching children in Japan. Currently the books we use require teachers to teach the topics by using related songs, games, role-play and TPR. Additionally, we encourage teachers to use other methods to help student learn English. i.e. teaching phonics, assigning meaning full homework. All applicants need to have a valid visa. 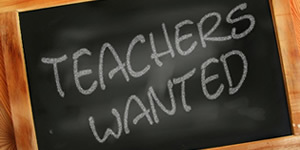 Applicant must have teaching experience in Japan.